Please join New Jersey Future and the North Jersey Public Policy Network for a special presentation on how towns can build a platform for prosperity and economic resiliency in uncertain times. Questions? Please contact Elaine Clisham (eclisham njfuture org) or Rhoda Schermer (rschermer njppn org) . Strong Towns is coming to Hackensack! What should we do now that the economy has changed so dramatically? The answers lie in the way we have developed; the financial productivity of our places. 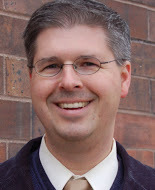 Please join Strong Towns President Chuck Marohn as he delivers a presentation entitled Creating Local Prosperity: How the Right Investments Can Help Places Build Resilience and Wealth, with Q&A to follow. This eye-opening presentation is a must for communities that want to invest in their long-term infrastructure in ways that will help them grow more economically resilient and foster true prosperity during changing times. The event is free, but registration is required. Sign up below and please join us on April 13! Please fill in the information below to register for the April 13 Strong Towns presentation in Hackensack. You will receive an email confirming your registration was successful. Neither New Jersey Future nor the North Jersey Public Policy Network will ever share your email address. We are asking for it so that, in case there are any last-minute changes to the schedule, we can let you know.